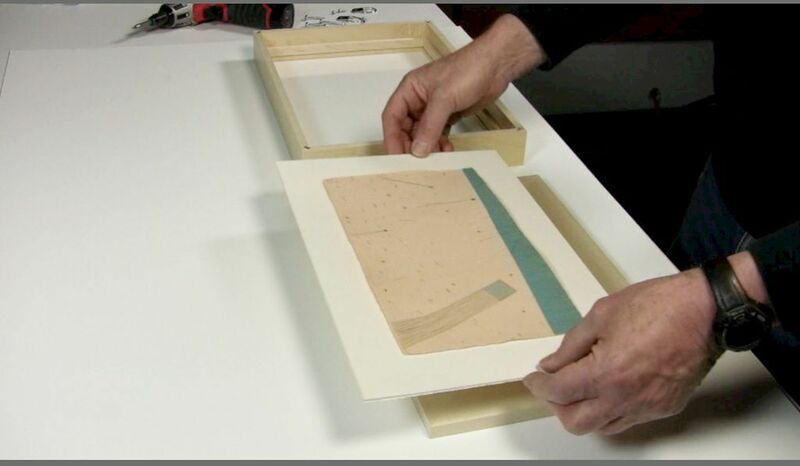 Wood Spacers are used to separate the artwork from the glazing material on art that is using a "float" or "floating" presentation. 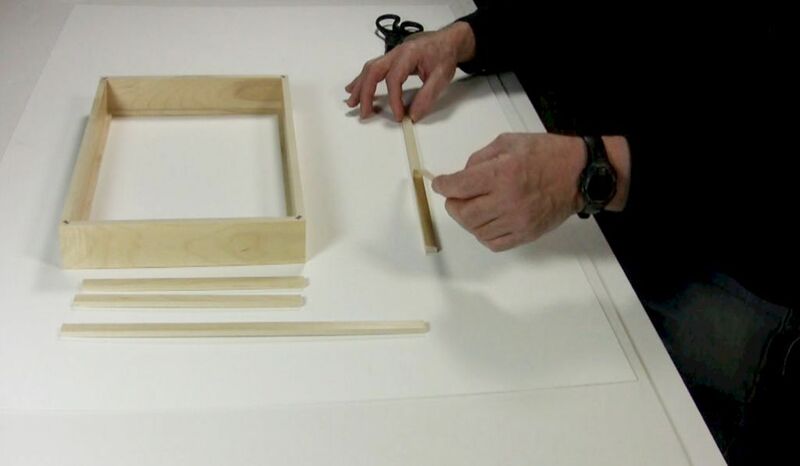 Strainers are an inner frame that is placed behind the artwork package and secured with screws. 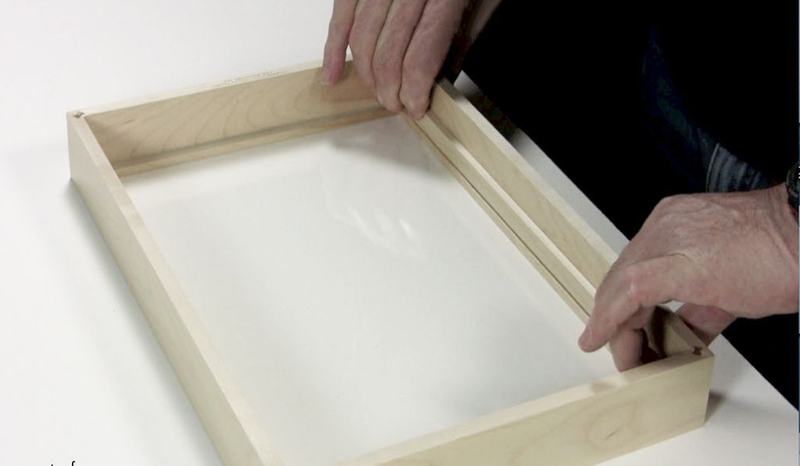 They add extra strength to the artwork package and hold the artwork package in the frame. View our product section to learn more about spacers and strainers. 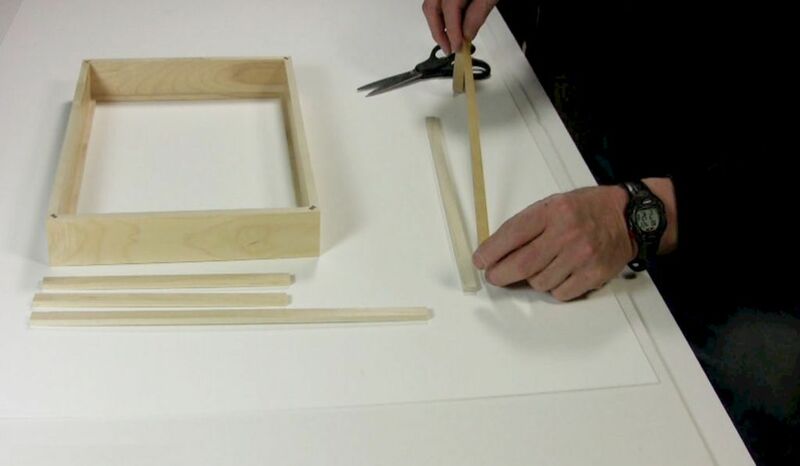 Assemble the materials and supplies. 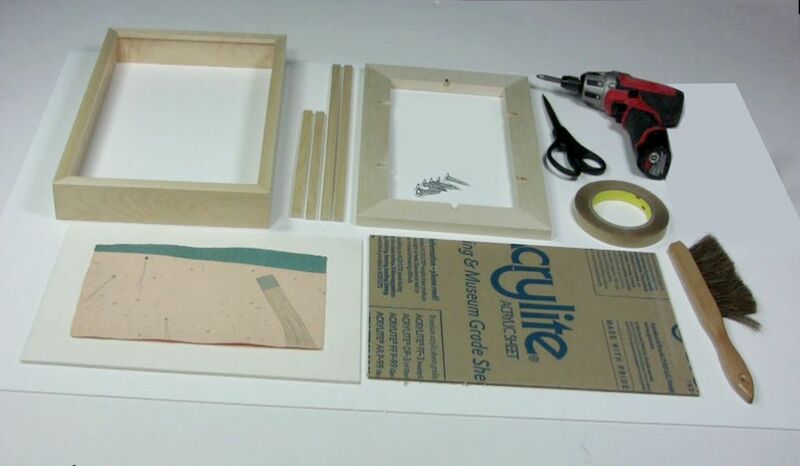 They are: the hinged artwork package, the frame, spacers, strainer, glazing (glass or acrylic), scissors, double faced tape, a drill, and a brush. 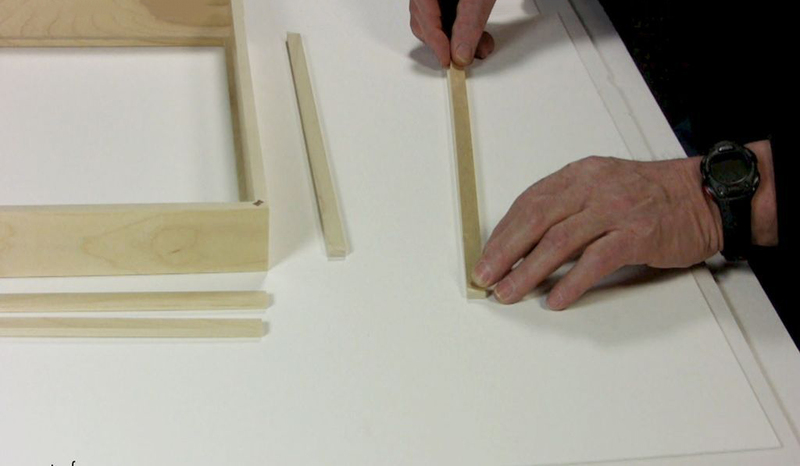 Place the trimmed double face tape on the unfinished side of the spacer making sure it is on evenly. Now take your finger and rub it down until it is on securely. 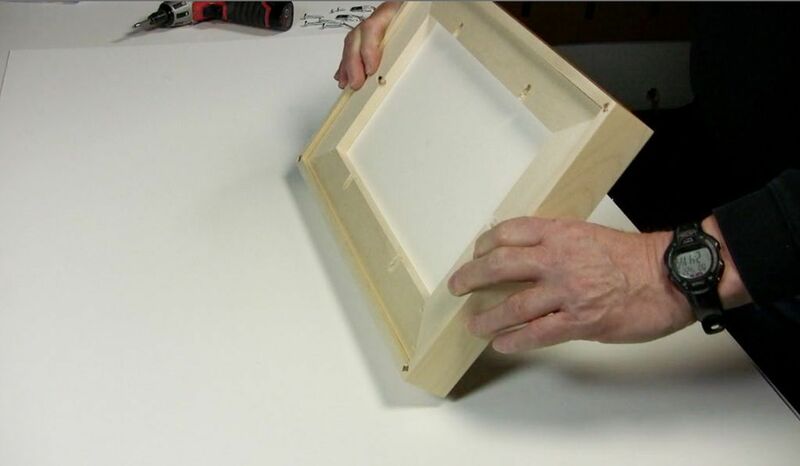 Peel off the paper and repeat the process on the other spacers. 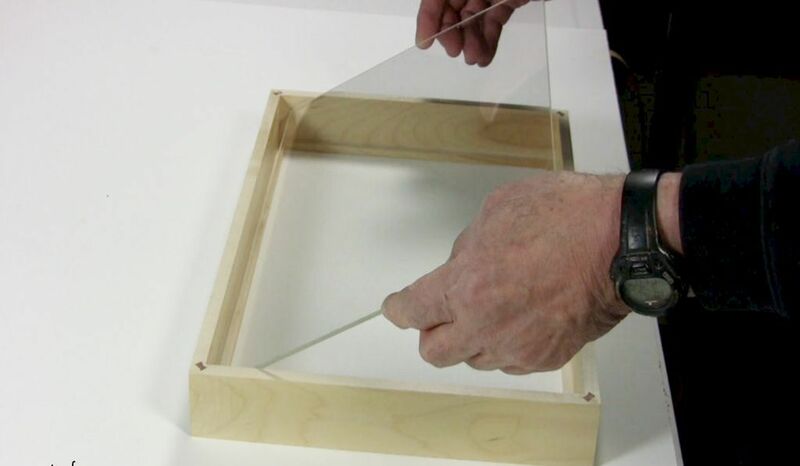 Take the glazing (glass or acrylic) and place it in the frame. 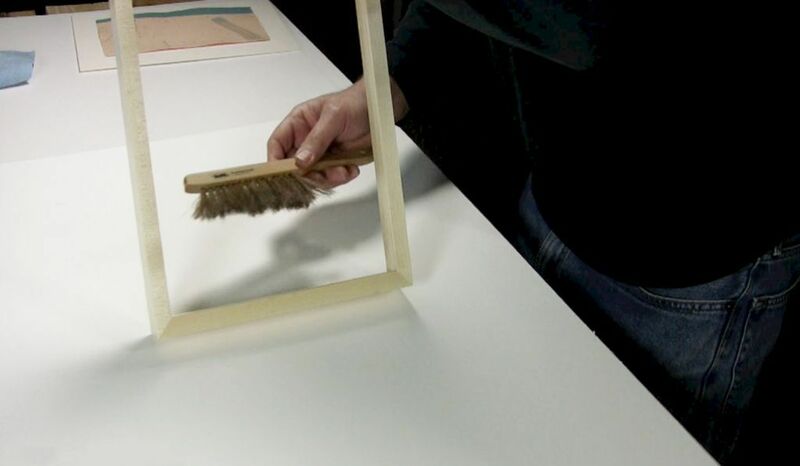 Place the artwork package on the strainer. 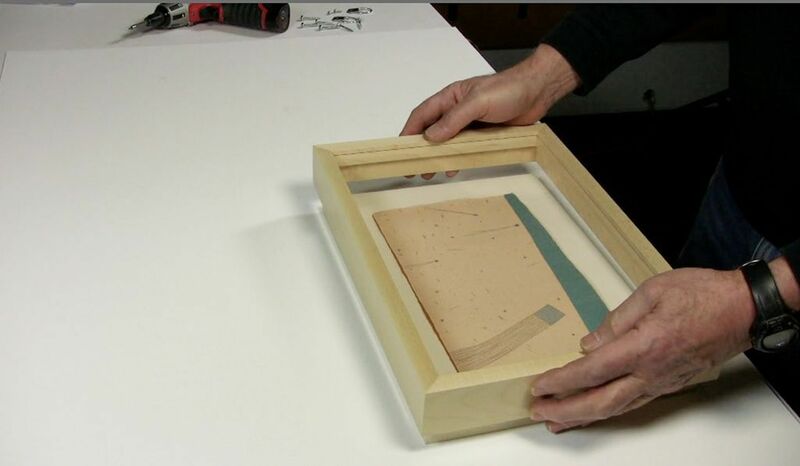 Place the frame over the artwork package and strainer. 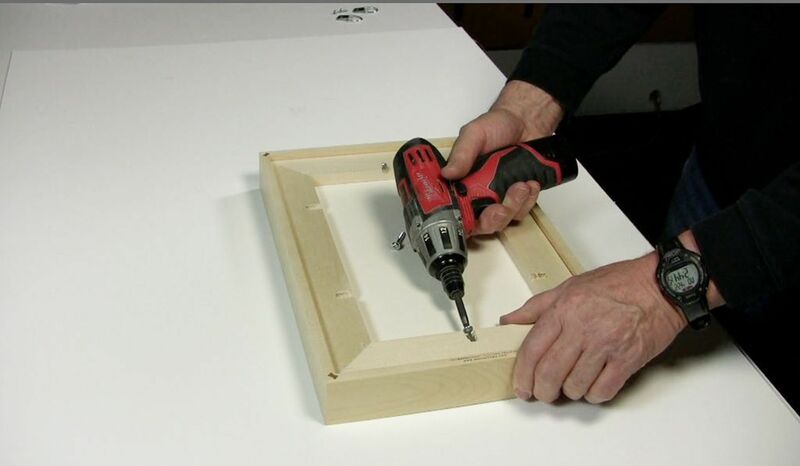 Place the screws into the predrilled holes and drill them in to the frame.Editor’s note: Click to see a more thorough discussion of attaching strainers.